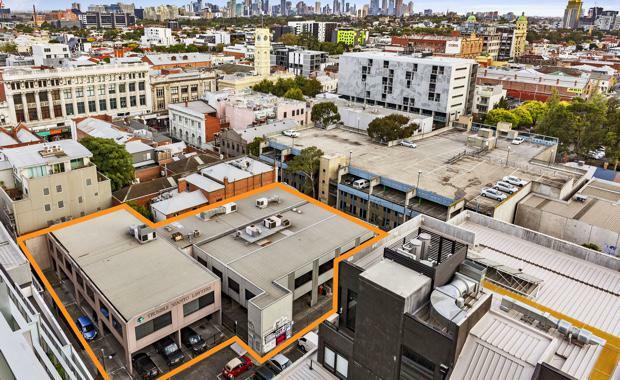 Two Melbourne commercial property owners have consolidated their sites to take a windfall profit with a Melbourne-based developer paying $11.35 million for the Prahran development site, a price estimated to be more than 30 per cent above individual site expectations. According to Teska Carson’s Michael Taylor, who sold the property with Michael Ludski and Marshall White’s Leonard Teplin, the owners of the adjoining 10 and 12-16 Cecil Place properties could have expected to realise a combined price of circa $8.5 million with separate sales. "This is obviously a well-established trend in the residential market but not one that has been exploited in the commercial sector and indeed the first we have seen in Prahran and surrounds and it has worked wonderfully well for the vendors. "At the same time it has presented an outstanding development opportunity with three street frontages and significant underlying land value as well as secure leases providing a handy income stream should a purchaser wish to redevelop,’’ Mr Taylor said. The property, only metres from Chapel Street, comprises a 1271 square metre site with two self-contained office buildings including 10 Cecil Place – a two storey office building of 881 square meres with 20 car spaces, and 12-16 Cecil Place – a two storey office building of 459 square metres with 11 car spaces. Mr Ludski said the sale was hotly contested with more than 100 enquiries and 12 tenders from a mix of local and off-shore developers and owner-occupiers. "The location, in the heart of one of Melbourne’s most popular retail, residential, and entertainment precincts, is exceptional with very strong demand for residential and commercial tenancies, demand which is forecast to continue based on projected population growth,’’ Mr Ludski said. He said the property was sold subject to leases to four tenants at a combined net rental of approximately $365,000 per annum. The vendors were Melbourne based investors.